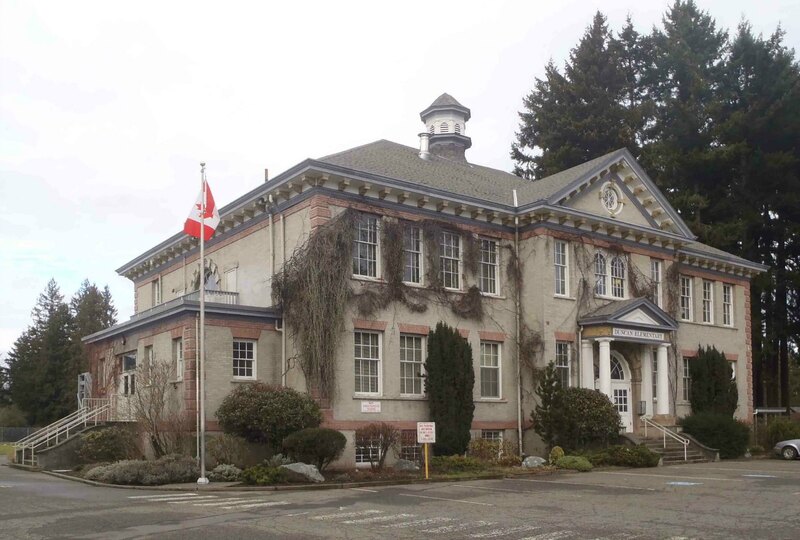 Duncan Elementary School – 1033 Nagle Street – Temple Lodge, No.33, Duncan, B.C. 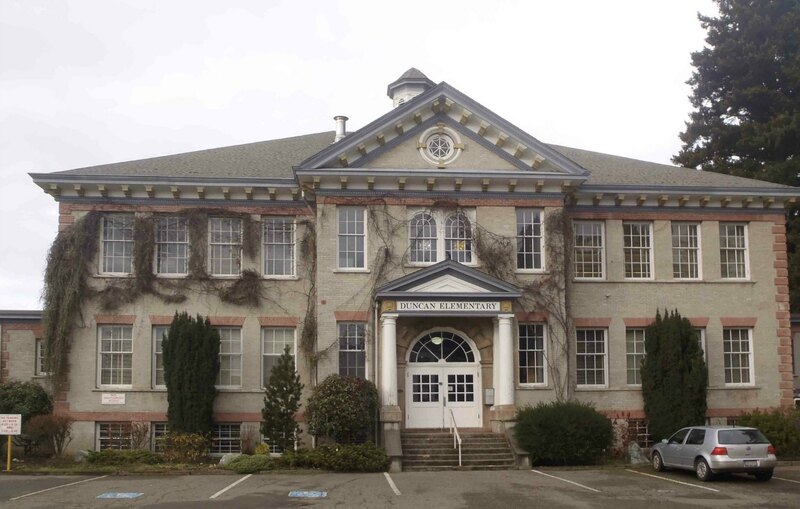 Duncan Elementary School, 1033 Nagle Street, was built in 1913 and is now a City of Duncan Heritage Building. It has several connections to Temple Lodge, No.33 and to Freemasons. William Tuff Whiteway (1856-1940), the architect who designed Duncan Elementary School, was a Freemason; William Mordaunt Dwyer, the School Board Chairman who oversaw its planning and construction, was a member of Temple Lodge, No.33; John George Somerville, the contractor who built Duncan Elementary School in 1913, was also a member of Temple Lodge, No.33. B.C. 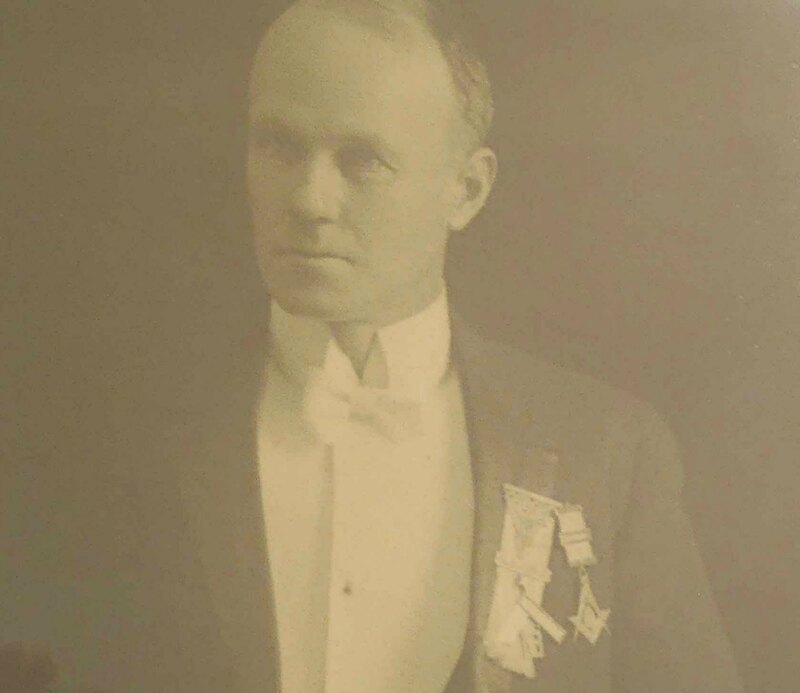 provincial government funding for construction of Duncan Elementary School was obtained through the efforts of the local M.L.A., Major William Henry Hayward, who was also a member of Temple Lodge, No.33. Duncan Elementary School, built in 1913. The architect who designed it, the School Board Chairman who oversaw planning it and the contractor who built it were all Freemasons. Duncan Elementary School, built in 1913. Front elevation. 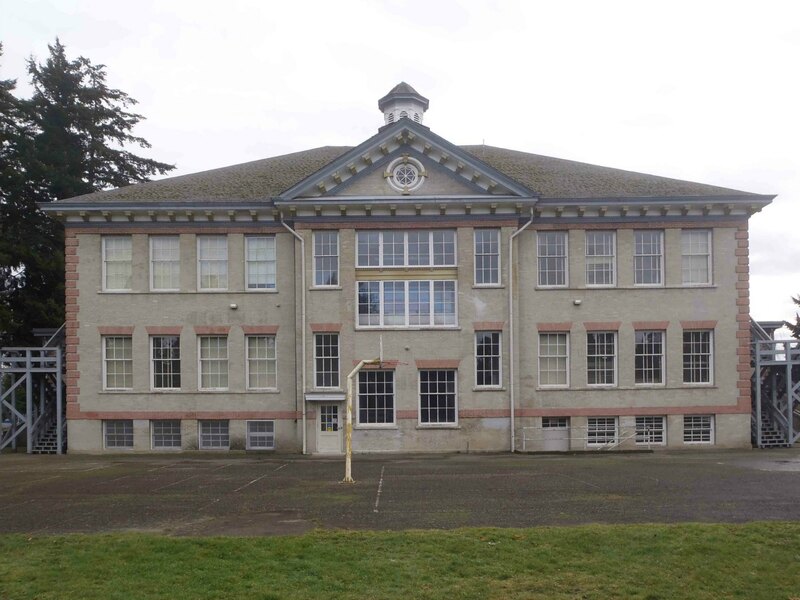 Duncan Elementary School, built in 1913, rear elevation.